Brett’s responsibilities include new business, marketing, portfolio management services, and providing financial advice to clients. He’s also involved in Birch Hill’s investment research process. With more than 20 years in the financial services industry, Brett’s experience includes business development, security analysis, portfolio management and providing financial advice to individual clients. Prior to joining Birch Hill, he was a co-founder and Director of Client Relations at Granite Harbor Asset Management. He was also an equity analyst with Massachusetts Financial Services (MFS) and held positions at Pinnacle Equity Solutions, Manning & Napier Advisors, and TD Waterhouse. Brett has a BA from St. Lawrence University. He is a Chartered Financial Analyst and a member of the CFA Society Boston, and the CFA Institute. He is also a CERTIFIED FINANCIAL PLANNER™ practitioner. 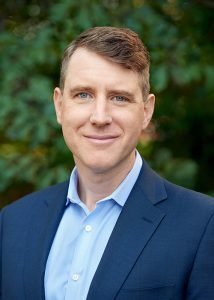 Brett serves on the leadership team of the New England Chapter of the Life Planning Network, and is also the founder of The Vegan Mindset, a community of Boston-based professionals advocating the benefits of a plant-based diet and lifestyle. A: I’m primarily responsible for marketing and new business efforts. I’m also involved in the investment research process and assist in providing financial planning guidance to Birch Hill clients. A: Our people, our culture, our investment approach and our aspirations. Relative to the last one, we have a long-term view and are continually looking to improve as individuals and as a firm. A: The challenge of finding individuals and families whose values are aligned with Birch Hill’s investment approach and culture. This quest leads to some inspiring discussions. A: I have three active children, so I moonlight as a chauffeur on weekends. Our hectic schedules lead us to really appreciate our family time when we are all together. It’s usually the little things that mean the most, like having a family dinner, watching a movie together, or reading books next to each other. A: I’d either find a way to coach high school or college basketball or become heavily involved in an organization aimed at improving farm animal welfare. Or I’d do both. A: “A life is not important except in the impact it has on other lives.” It came from Jackie Robinson.